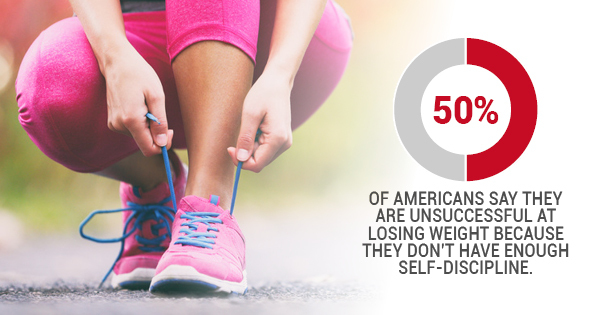 About 50% of Americans say they are unsuccessful at losing weight because they don't have enough self-discipline. But it doesn't always take as much discipline as you'd think to start to achieve a healthy lifestyle and stay on track with your personal weight loss goals. And in addition to eating better and getting more exercise, there are several tips that can help you on your path to weight loss success, many of which take little to no effort at all. Here are some of the most surprising tips for losing weight that you may have never heard of before. Vitamin D has countless health benefits, many of which are proactive and assist with weight loss. Vitamin D boosts your immune system health and regulates your body's functioning. "Vitamin D doesn’t just help your body absorb calcium and regulate your immune system -- it could also help you lose weight. In a 2009 study out of The Endocrine Society, researchers found that adding vitamin D to a reduced-calorie diet might help you shed more pounds," writes Tehrene Firman on Best Life. With that in mind, it's a good idea to pick up a bottle of Vitamin D supplements and take them once daily. Many people trying to lose weight have heard that eating smaller meals more frequently throughout the day is the best way to shed some extra pounds. But newer research suggests that it's actually best to minimize your eating window so that you consume fewer calories throughout the day. Think about it: if you wake up early and go to sleep late, you'll likely consume more calories during the day than if you're eating your day's food in the span of just a few hours. You heard right -- a recent study showed that those who ate a large breakfast that included some sort of dessert led to more weight loss and craving control than those who ate normally. If you've always wanted an excuse to wake up and eat cake for breakfast, give this tip a try! Ultimately, there are quite a few unconventional weight loss tips out there, and while it's true that everyone is different, you never know which of these fascinating tips may work for you. For more information about reaching your personal weight loss goals, contact 20/20 LifeStyles.